Even if you’ve been on the ketogenic diet for a long time and your sweet tooth has virtually disappeared, there’s probably still a part of you that wouldn’t mind indulging in something sweet every once and awhile. The problem is that doing so would kick you out of ketosis, and that’s something you definitely don’t want to do. 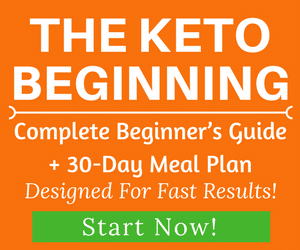 Luckily, the ketogenic diet has evolved so much that you can turn almost any regular meal into a fat-burning ketogenic meal, including some of your favorite breakfast staples. And what goes better with a big, heaping pile of keto pancakes than a side of butter and sweet maple syrup? If the maple syrup part sounds too good to be true, then you need to check out this list of ketogenic low-carb, sugar-free maple syrup guaranteed to take you back to the Sunday morning breakfasts mom used to make. 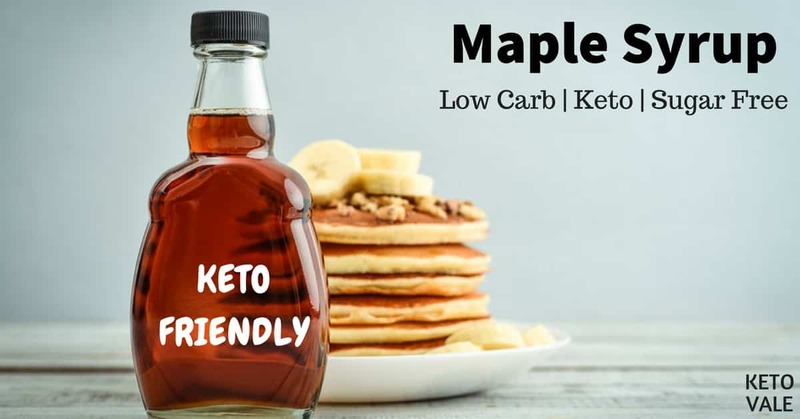 Read on to find out the #1 keto-friendly maple syrup we recommend! Most of us know where to find maple syrup in the grocery store, but what exactly is it? By definition, maple syrup is a sticky, sugary substance made from the sap that comes from certain trees, such as the maple tree. According to the National Agricultural Statistics Service, there are more than 1.3 million gallons of maple syrup produced in the United States each year (1). Because regular maple syrup is made mostly from sugar, it’s not allowed on the ketogenic diet. How Is Regular Maple Syrup Made? Tree taps allow the sap to flow from the tree into buckets. Once the sap is collected, it needs to be evaporated and boiled. The heating of the sap involves using an “arch,” which can refer to a stove or concrete blocks and a smokestack. Sap needs to be boiled at the same temperature as water. Boiled the sap causes it to roll and foam, but some maple syrup manufacturers add a defoaming agent to this process to make the syrup smoother. The sap is then boiled until it reaches a concentration of 66 percent sugar (now you can see why it’s not keto-friendly). Once the sap is boiled and evaporated, it is filtered for impurities and bottled. Research states that one of the most important aspects of making syrup is growing healthy trees each year. Maximizing the tree’s health means that the syrup will taste better. In the northeastern part of the United States, trees are tapped for maple syrup in late January or early February. This process continues into March and sometimes April. The temperature has to be just right for the sap to start flowing from the tree. Warm days that range above 40°F and cold nights with temperatures below 32°F start off the tap for the year. The beginning of the seasons usually brings lighter syrup while the harvest during the late season brings a richer, deeper colored syrup. As mentioned above, regular maple syrup contains at least 66 percent sugar, which is a big no-no on the ketogenic diet. Luckily, there are many keto-friendly syrups available that allow you to enjoy the taste of maple syrup without the sugar crash. The first thing you’ll want to pay attention to are the ingredients. Of course, you want a product that looks and tastes as much like the real thing as possible. Look for a maple syrup that uses 100 percent maple extract so that you get the flavor of the maple syrup minus the calories and sugar. Some extracts add sugar to their product for better flavoring, so make sure the one you buy doesn’t have any of this. Remember that the fewer ingredients the product has, the better! The next thing you’ll want to look for is a high-quality type of no-calorie sweetener. Erythritol is a good option because the consistency matches that of real maple syrup. 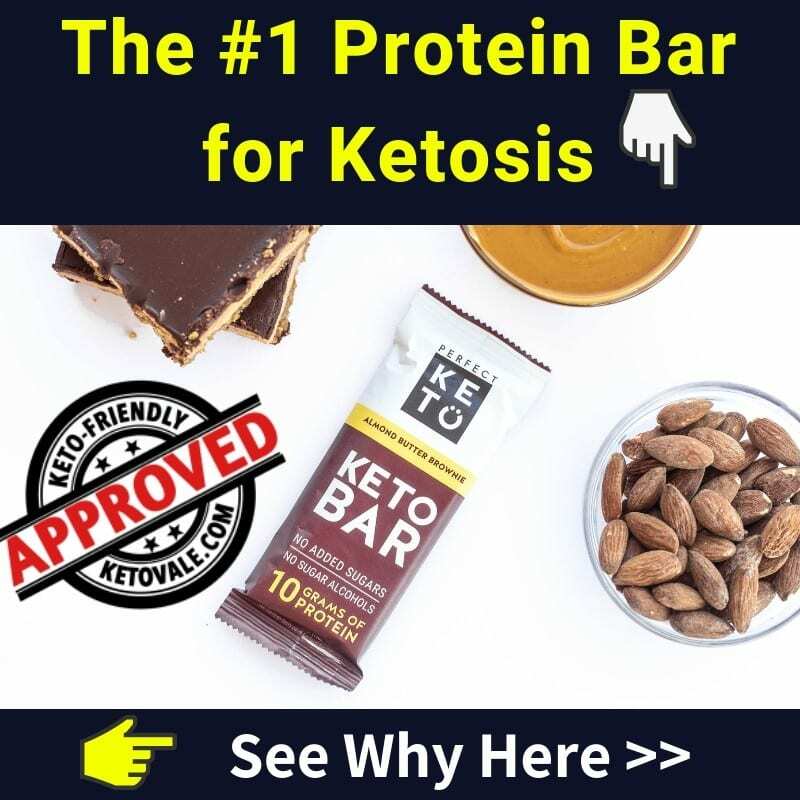 Monk fruit sweetener and stevia are also good keto sweetener that you can use because they are calorie and sugar-free and come from natural sources. Try to avoid artificial sweeteners such as aspartame and sucralose as these contribute to digestive upset. 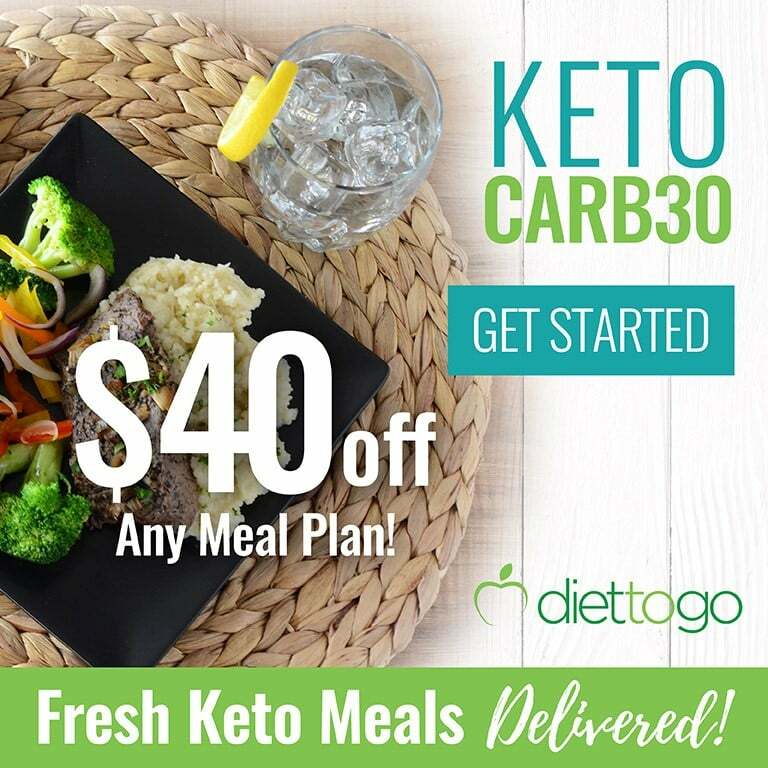 Lastly, you’ll want to make sure there are no preservatives, artificial food dyes or any other chemical-laden ingredients that contribute to inflammation in your keto syrup. Some companies will add coloring to get the desired look of real maple syrup, so be sure to avoid these whenever possible by reading the ingredient labels. Check out our guide to the best keto sweeteners and sugar substitutes when looking for a product that contains the best natural sweeteners. Still not sure what kind of keto-friendly maple syrup to get? We’ve done the research for you and come up with some pretty great options. Take a look at our top three list and get ready to break out the keto pancakes for breakfast! It’s sweetened with monk fruit sweetener, which is a preferred sweetener among keto folk because it’s naturally sourced, tastes great, and is calorie free. 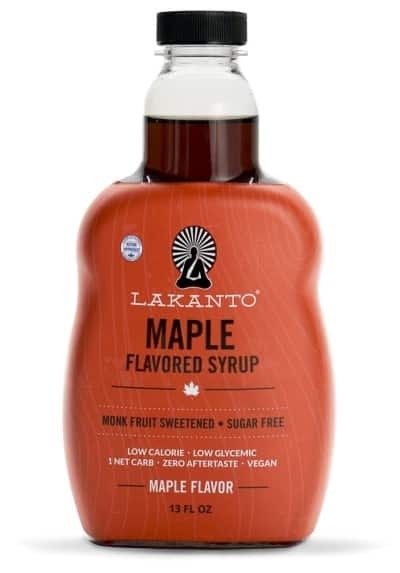 It also contains natural flavoring so that you get the taste of real maple syrup without any unpleasant aftertaste as well as plant-based preservatives, which are safer than the chemical-laden ones. This means that the product can sit on your shelf longer without going bad or needing to be replaced as often. 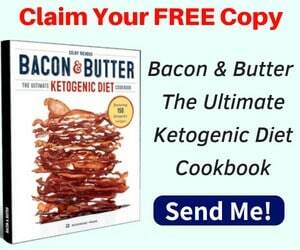 Our #1 choice for Keto Diet! Some people might not like its taste. 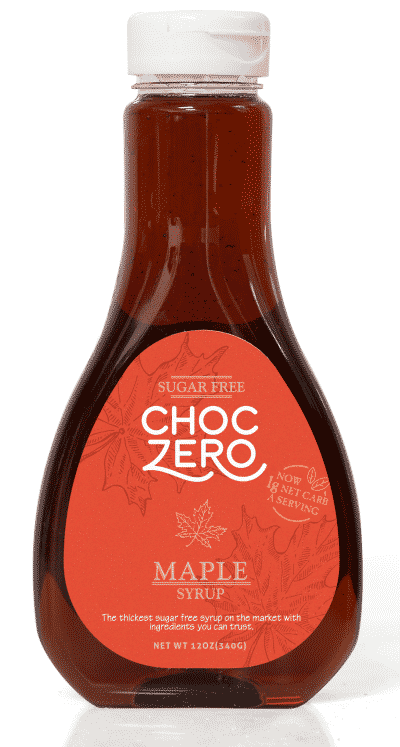 ChocZero is a keto-friendly, sugar-free maple syrup that claims to have the thickest syrup on the market. So if you like a nice, thick syrup to coat your favorite foods, then this one is for you. We also love the simplicity of this product. Just like with the first syrup on the list, this product only has one net carb per serving. We like that it has fewer ingredients than the first product and that it uses monk fruit extract as its sweetener of choice. Not to mention it contains pure maple in its ingredients, so you can bet that this tastes like the real thing, too. It also contains more fiber per serving than the first product, which is a great way to help keep you regular and improve digestive health. It uses caramel color as one of its ingredients, and since it is not listed as a plant-based coloring agent, we can only assume that this product uses some sort of artificial coloring or dye to get the desired look of maple syrup. This isn’t a big deal if you don’t plan on using a lot of it, but we would like to see one that gets its coloring from natural means. If you’re serious about the ketogenic diet, then we suggest sticking to options number one or two on this list as your syrup of choice. This is because these two products use keto-friendly sweeteners such as monk fruit. The third product on our list is from Walden Farms. 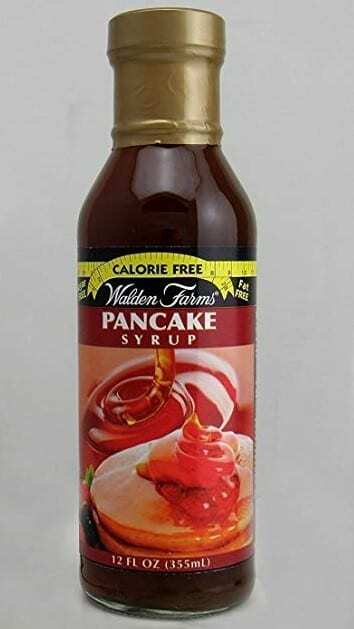 While it’s a sugar-free syrup, it isn’t strictly keto. If that’s OK for you, read on because this product still has a lot of great features! This product is not as keto-friendly as the first two options as it contains sucralose instead of monk fruit sweetener. It also contains a good amount of preservative, such as potassium sorbate, sodium benzoate, sodium acid sulfate, and caramel color. We’d like to see a product without these chemicals, or at least one that contains plant-based preservatives (like the first product). How to: Add everything in a sauce pan and bring to boil. Stir well until everything is well incorporated. Remove from heat and let it cool then store in a jar for later use. 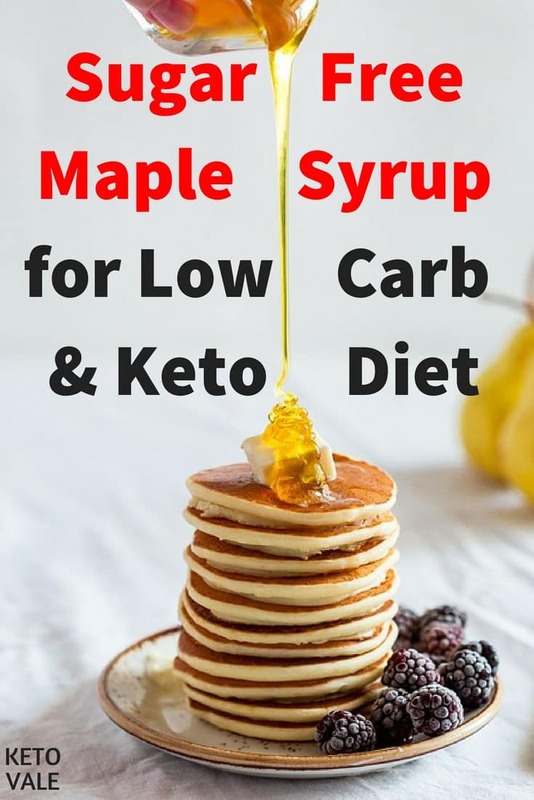 Using a sugar-free maple syrup is a great addition to any ketogenic diet, especially if you have a bit of a sweet tooth and miss the taste of maple. The process of making real syrup involves tapping a maple tree and letting the sap run out of it. From here, the sap is boiled and evaporated until it reaches a sugar content of 66 percent. You can see why this isn’t a keto friendly food! Luckily, there are many different keto-friendly syrups you can buy that look and taste just like the real thing without all the sugar or calories. 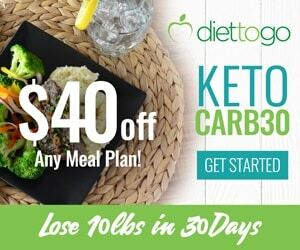 We’ve provided our top three choices in this article and we recommend going with options number one or two for strict keto followers. This is because these two products are sweetened with monk fruit and not artificial colors. They also contain the fewest amount of preservatives. Of course, you can always make your own syrup at home, but why do that when we just provided you with three great easy options? 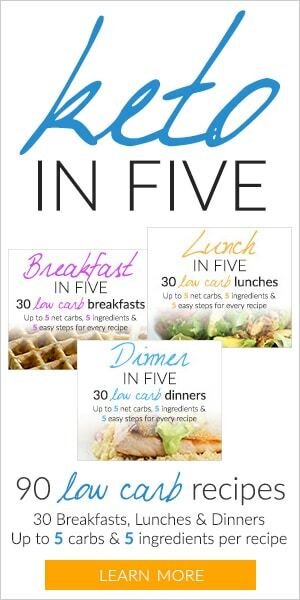 Save this post on Pinterest for later reference!